Sunday night dinners should always be hearty and warm in the Fall and Winter months, at least in my opinion. It’s always a nice way to wind down the weekend and prepare for the week ahead with your nearest and dearest. This past Sunday I knew I wanted to cook a chicken dinner, but was tired of my same old recipes. I searched and searched online until I came across the Honey Mustard Chicken recipe from AllRecipes.com. I had all the ingredients in my pantry that it called for and it sounded quick, simple and delicious, and it was all of these! The chicken remained moist and tender. The honey mustard glaze was sweet and tangy at the same time. I highly recommend making this for dinner asap. Preheat oven 350 degrees F. Lightly grease 8×8 inch pan. Salt and pepper chicken to taste. In a small bowl, mix together honey, mustard, basil, garlic powder and parsley. Pour half of this mixture over the chicken and brush to cover. Bake in the preheated over for 30 minutes. 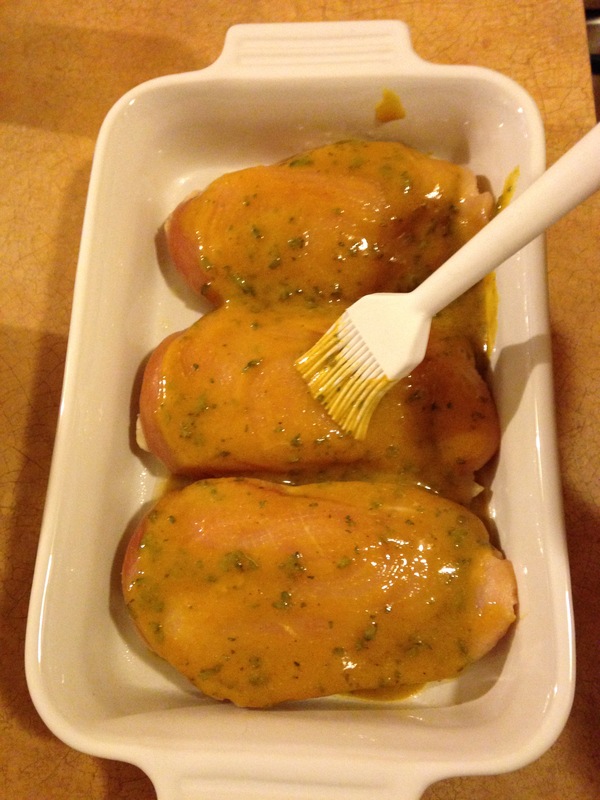 Turn chicken pieces over and brush with the remaining half of the honey mustard mixture. Bake for an additional 15 minutes or until chicken reaches an internal temperature of 165 F. Let cool for ten minutes before serving. Enjoy!